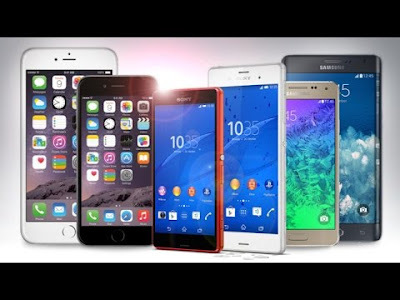 With so many different models to choose from, buying a smartphone can be a tough experience. Prospective buyers can learn a lot about the newest phones by reading reviews, but there are some traps that often go unnoticed. Below are the biggest mistakes you can make when purchasing a new smartphone. No matter which phone you're buying or which carrier you're using it on, these are issues you should always look to avoid. Buying a new phone just before the release of the latest model may be the single biggest mistake you can make.Apple(NASDAQ: AAPL), for instance, unveiled its iPhone 6S, offering prospective buyers a number of notable improvements, including a faster processor and a better camera. Even if you don't want the latest and greatest smartphone, you can save quite a bit of money by waiting for a new model to go on sale as Apple, for instance, customarily reduces the price of the previous iPhone by $100 when the latest one goes on sale. For other manufacturers, the situation is largely the same. In April, Samsung's (NASDAQOTH: SSNLF) Galaxy S5 saw its price drop by $200 at some carriers around the time Samsung released its current flagship, the Galaxy S6. Smartphone manufacturers typically follow a regular pattern, launching a new model about every 12 months. Before you buy a phone, check to see when it was originally released. If it's more than 9 months old, consider waiting. If you're planning to install a lot of apps, download music, take plenty of photos, and record video, you'll need ample storage. Typically, smartphones are offered in 16GB, 32GB, 64GB, and 128GB varieties (though some budget phones can pack as little as 8GB or even 4GB). For some, 16GB may suffice, though as apps continue to expand in size, 32GB is increasingly viewed as the bare minimum. Apple charges a premium for extra storage, as do most of its competitors, but it can be money well spent, as it isn't possible to upgrade the storage space later on. Some smartphones support micro SD cards, but many (like the iPhone and Samsung's latest Galaxies) don't. Even then, there are limitations -- many apps cannot be installed on a micro SD card, and pulling files from an SD card is slower than from the phone's internal memory. The smartphone market is changing. Two-year contracts with subsidized handsets are falling by the wayside, replaced by no-contract plans that allow subscribers to bring their own phones. You can save a ton of money purchasing a used phone, or buying a phone straight from the manufacturer, but if you do, make sure it's compatible. Not every smartphone will work with every carrier. An iPhone purchased fromAT&T, for example, may not work on Verizon's network at all. Sometimes they'll be slightly compatible. For example, a Galaxy S6 purchased with T-Mobile will work on AT&T's network, but it may not deliver the best experience. (Different carriers rely on different LTE bands, and a lack of particular bands on a phone can result in sub-par signal.) There are phones like the new Moto X and the unlocked iPhone 6 that will work on all carriers, but they're not common. If you aren't planning to purchase the phone directly from the carrier, make sure you're aware of its compatibility issues. If you purchase your phone in a carrier store, you'll often be offered a wide variety of accessories at the time of sale (cases, headphones, car chargers, etc.). It is almost always a mistake to purchase them.That isn't to say that car chargers are useless, or that you don't need a case for your smartphone. Rather, these accessories are often marked up to an absurd degree. Verizon, for example, is currently selling the OtterBox Commuter Series iPhone 6 case for $44.99. The same exact case can be purchased onAmazon for just $27.24 (with free shipping). AT&T is asking $30 for a Micro USB car charger, but Best Buy offers them for $19.99. Finally, there's the issue of insurance. If you just bought an expensive handset through a carrier, insuring it for a few dollars a month can be enticing. Nevertheless, it may not be worth it, as insurance plans purchased through carriers often come with high deductibles. There are alternatives offered by the phone manufacturers themselves. Apple offers AppleCare, Motorola has Moto Care, and Samsung has Protection Plus. All three plans basically work the same: You pay a lump sum up front (usually around $100) and deductibles are modest (around $40). In exchange, you receive an extended warranty and accidental damage protection. They aren't perfect -- if your phone is lost or stolen, you're out of luck -- but they can be far cheaper than insurance. How do people walk on burning coal ? Want to live longer? ?...GET MARRIED!!! Is your honey pure ? Why do people feel sleepy while reading ? What Actually is the Volkswagen goof-up? How DNA is like a Yo-Yo ? Can house dust make us fat ? Know GT per second ?